Enz-All Pre-Spray by Chemspec is specifically designed to eliminate protein and greasy soils as well as blood, food, coffee and urine stains. Its enzyme-rich formulation contains nearly twice the raw enzymes than any other product on the market. 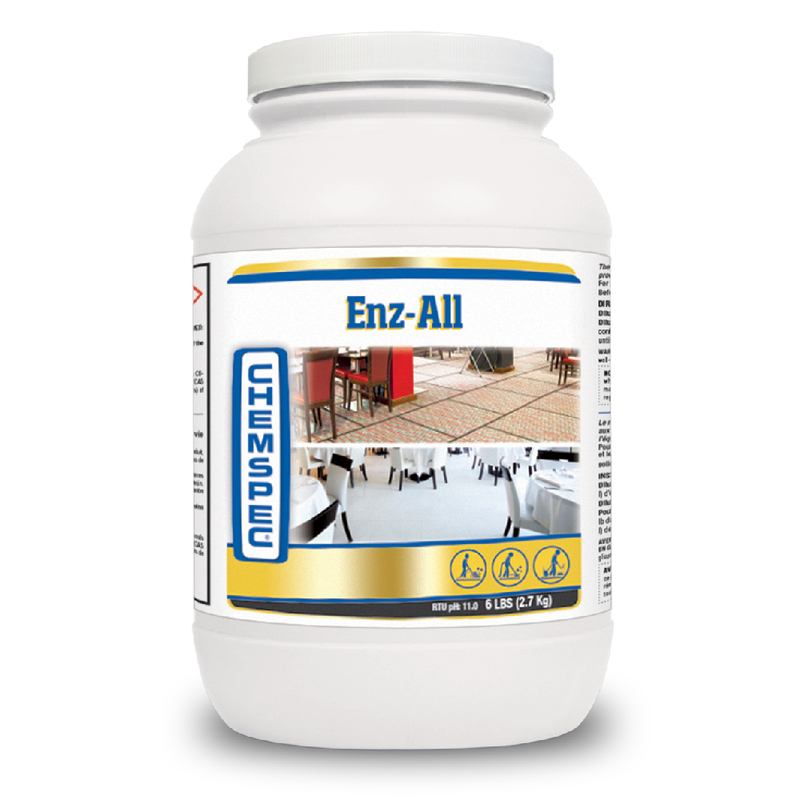 Enz-All is perfect for food service accounts and restaurants—places that are packed with caked-on grease. With a pH of 11.5-12.5, it’s “hot” enough to cut through the most challenging food grease that defies high-pressure extraction.